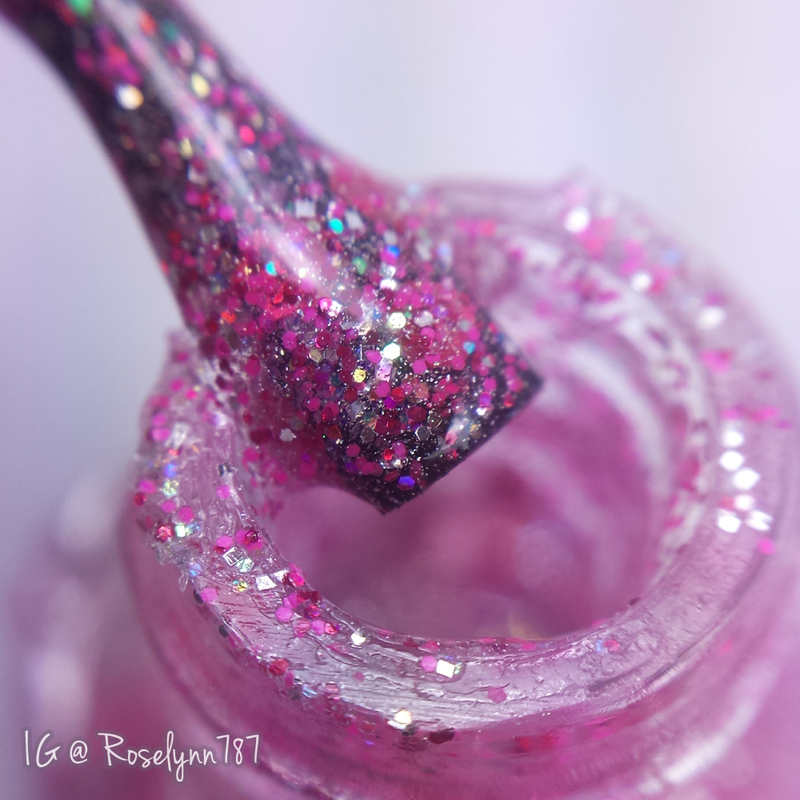 The Valentine's Day Duo by CDB Lacquer is now available for purchase. Keep in mind these are limited edition and once sold out, they will not be restocked. Also limited edition is the February Monthly Holo. I'll have swatches of that later on this week. 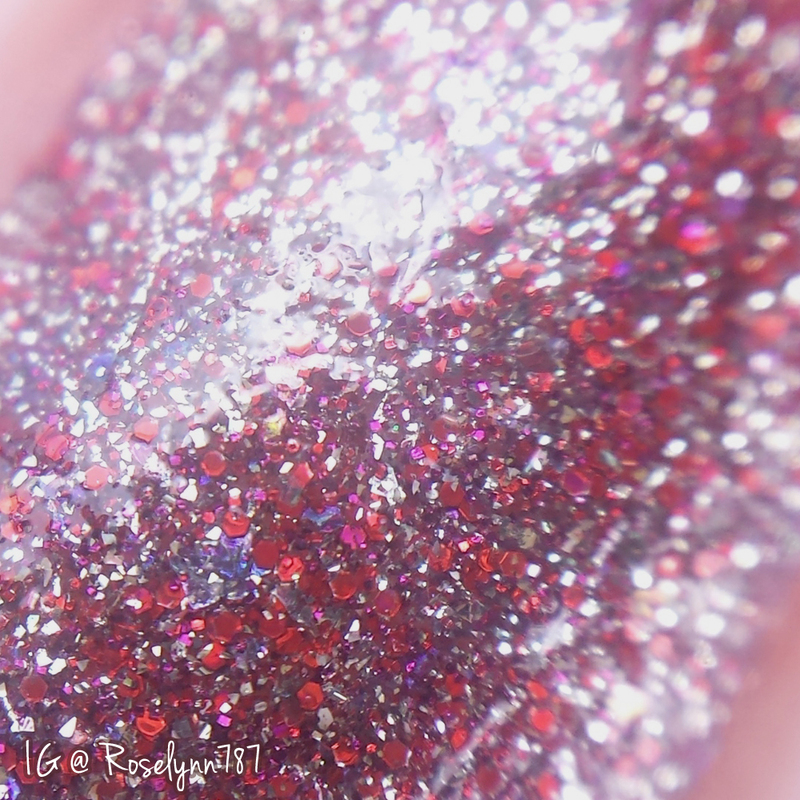 Deep Desire is a glitter-bomb packed with red and garnet micro glitters as well as silver flakies. Every purchase of this polish comes with a small baggie of red, black and holo silver heart glitters. It almost reminds me of something straight out of 50 Shades of Grey. I absolutely adore the glitter and color combination. It's an effortless gorgeous mani that needs nothing else. Perfect if you're running late for your date on that special day, haha. Great formula and consistency, it gave me no issues layering for an opaque finish. For these swatches, I applied two smooth layers and sealed with a top coat. 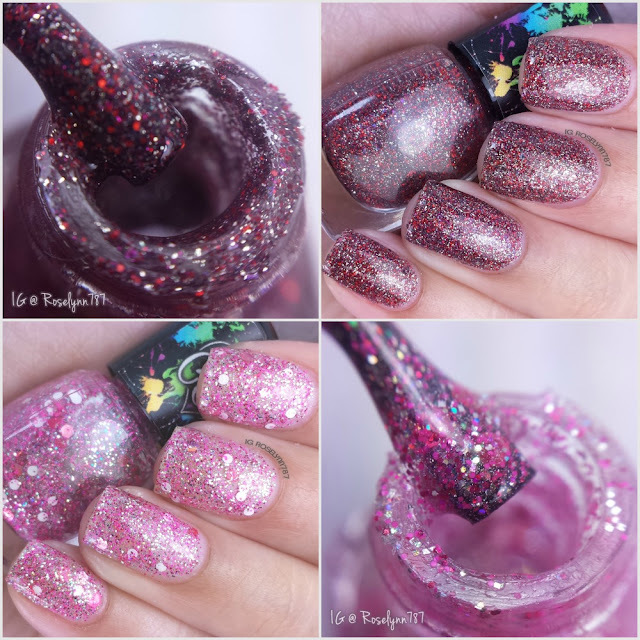 Sweet Kisses is a glitter-bomb packed with pink, white and silver glitters. Every purchase of this polish comes with a small baggie of pink, white and holo silver heart glitters. You guys know that I have been a big fan of the polishes that CDB Lacquer has been putting out lately. Unfortunately, Sweet Kisses falls short and leaves a little bit to be desired. The formula applies smoothly, but this does require dabbling on the layers in order for the glitters to build-up. Personally, I don't like how 'chunky' all the glitters are. In order to build up for an opaque finish, you end up dabbing so much it looks textured. I recommend opting to use it over a base color instead of layering. For these swatches I applied one thin coat, dabbed on two additional coats, and then sealed it with a glossy topcoat. 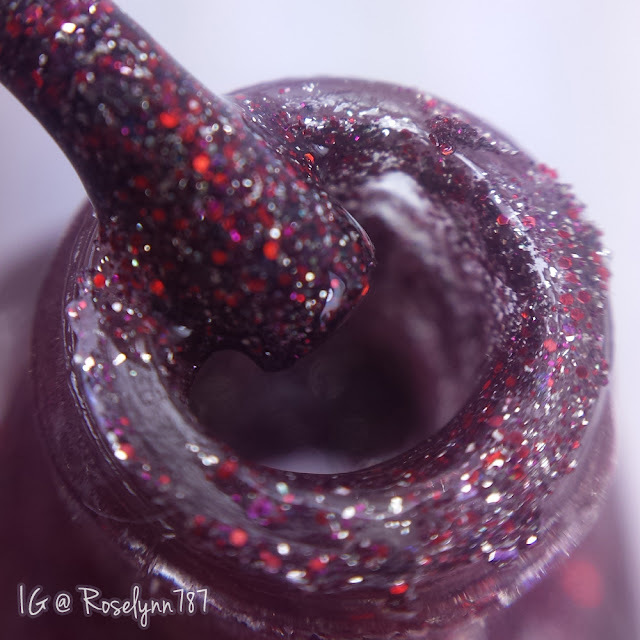 Overall I'm not as head over heels as I usually find myself for CDB Lacquer. Deep Desire is definitely my favorite of the duo, hands down. Photos don't do that one any justice, but it also helps that the shade compliments my skin-tone so well. Which one is your favorite guys? Deep Desire is my favorite of this duo. It's really pretty! Deep Desire is my favorite out of this duo. So pretty! Pretty swatches and great macros! I'm a fan of red, so Deep Desire gets my vote! I love a good home mani! Those colors are super cute too! Beautiful! I always love your color combos! Deep Desire is definitely my favorite! I love e mismash of red silver abd black! Valentine's collections are always pretty hard for me to love because I'm not a real pinky-red type of gal. 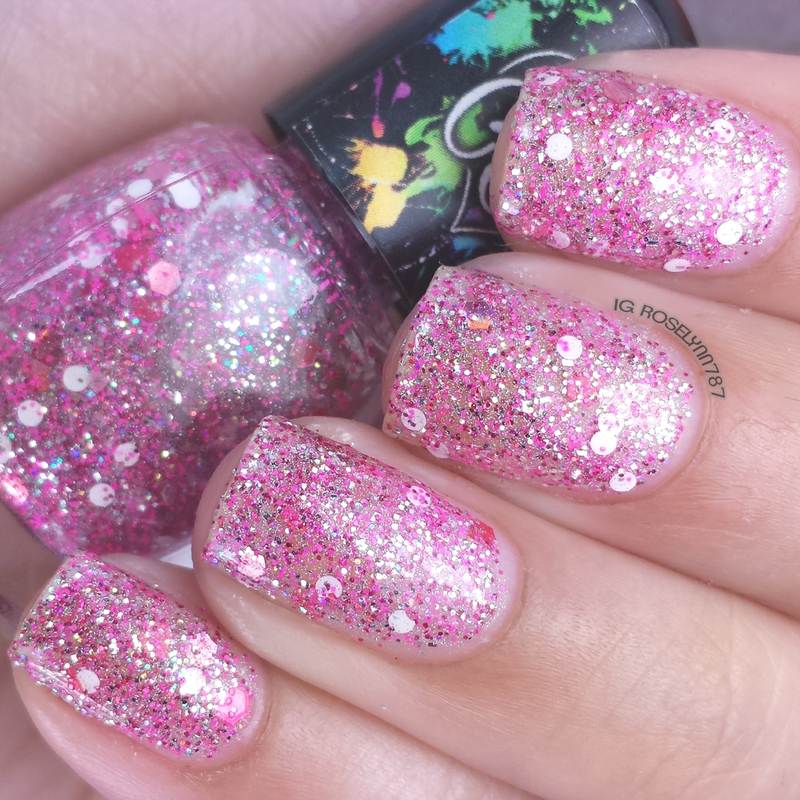 That being said though, I am rather charmed by these glitter combos! Whoa. Love the sparkle! Thanks for the inspiration! Deep Desire is gorgeous! Beautiful swatches. I'm also not head over heels over these, but if I had to pick one it'd be Sweet Kisses. Very pretty glitters! Great swatches and I love your macro shots! Beautiful swatches! Deep Desire is lovely. Deep Desire would be my favorite as well. Deep Desire is unlike anything I've seen. Needless to say it is my favorite of this group! These are gorgeous! The macros are just gonzo, I am drooling over here! I haven't tried this brand, they look pretty but I don't use a lot of glitters. Sweet polishes. I think sweet kiss will look pretty over a pink base. All the best for your car ..